Rudolf Hess's flight to Britain in May 1941 is one of the most extraordinary mysteries of the Second World War and the subject of many books. Now acclaimed historian Peter Padfield, after years of research amongst newly released documents and interviews with informants who have never before spoken of their part in the affair, provides the most complete and accurate explanation of the Deputy Fuhrer's flight to this country. 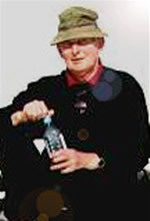 Hess was lured to Britain in an MI6 'sting' operation involving top-level British diplomats, with the knowledge of Winston Churchill. 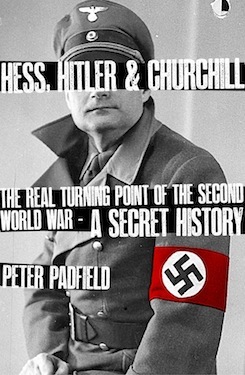 Hess came on a deniable mission with the full knowledge of Hitler and Nazi ministers. His reception party in this country probably included the Duke of Kent. He brought documents with him that were concealed at the time - even from members of the government and Foreign Office - and which remain closed to the public. These documents included a peace proposal typed in numbered clauses on Chancellery paper offering withdrawal of German forces from western occupied Europe if Britain would allow Germany a free hand in eastern Europe. They detailed Hitler's plans for the conquest of Russia and extermination of Bolshevism; and according to the account of an informant who learned of it from a Guards officer who questioned Hess, they specified the deportation of Jews - to save them from planned liquidation.. If these terms had become known - and not agreed because Hitler could not be trusted - it would have been catastrophic for ritain's relations with America, the Jewish community and the heads of the exiled European governments in London. The explosive nature of these proposals ensured that they were buried at the time; the fact that after seventy years they remain hidden is proof of a continuing cover-up, presumably on account of their sensitivity in relation to the 'holocaust' and the image of Churchill's conduct in the Second World War. "The closest we are likely to get to definite answers...this grippingly readable book gives the fullest and most convincing exposition of one of the 20th century’s strangest stories." "A fascinating work of historical investigation ."